Information: It's called a panel truck on the box, but is actually a sedan delivery. 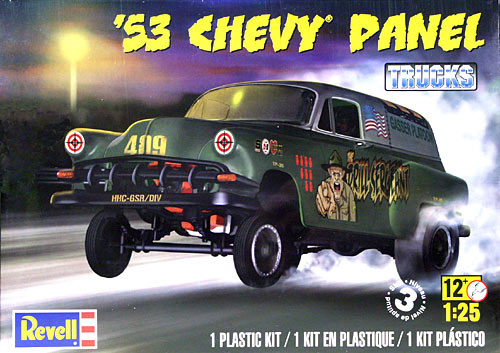 It can be built as either a '53 or '54 and with a stock chassis or as a street or drag strip gasser with straight axle. Includes a 409 with choice of supercharger or 2-4's.